Well, Freedom APK Latest Version 2.0.8 Free Download 2019 is an awesome app made for the Android operating system which you can use to get coins or other in-app purchases of popular games worldwide for free. The best thing about Freedom Apk is that you can use this app to get free coins of the most popular games for FREE! 2 What Is Freedom APK? 5 How To Install & Use Freedom APK? After sharing about GBwhatsapp and Lucky Patcher, it’s time for another awesome app which you can use to unlock all the premium features of games or apps. Well, if we look around we will find many popular apps that offer lots of extraordinary features. However, not all of those apps are free. Users need to pay to the app developer to access all the premium features of Android games and apps. Well, there are many tricks available on the internet which let a user bypass the in-app purchases. Today we are going to share the best one among them. 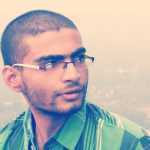 Freedom APK is one of the best apps for Android which unlocks all premium features in the easiest way available. The best thing about Freedom Apk is that you can use this app to get free coins of the most popular games for FREE! We must admit that everyone loves to play games on their Android devices. However, to enjoy the game we need game resources like Games, Coins etc. So, Freedom Apk becomes handy in that situation. Suppose you are losing a game and you need to buy some coins to play the game again, but you are running out of money. Or you don’t want to waste money in buying game resources. So, if you are among them then this article is going to help you regarding this matter. Make sure to read this article until the end. At the first glance, you might not believe in my words. However, just try this app for once and we are pretty sure that you will love to use it again and again. 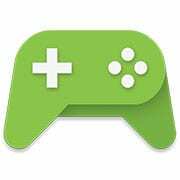 Well, Freedom APK is an awesome app made for the Android operating system which you can use to get coins or other in-app purchases of popular games worldwide for free. Basically, this app bypasses the checking system of the search giant Google by using a Fake card to buy the premium features that you all are looking for. The cards used by Freedom APK doesn’t have any credit. So, you can take it as useless. However, those cards are enough to purchase the premium features of Apps & Games. The app convinces the Google Play Store that you are actually using a real credit card for purchasing the resources. The App is free and it can be used to buy premium features of apps for free of cost. 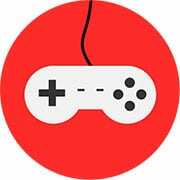 You can purchase coins of games or any other game resources using the app. As we already mentioned, this app is used to avail the premium features of games for free. The same thing applies to the apps too. 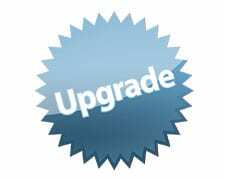 You can bypass In-app upgrading which requires money. You might have installed a game which you stopped playing because of fewer game resources to reach the next level. However, with this app, you can unlock all the game level which requires money. Well, the latest version of Freedom apk works with almost all popular games. The reason behind this is it doesn’t actually hack the resources, instead, it tries to convince Google that you are actually purchasing it in a legit way. That’s all for now. Maybe we missed some of the features. If yes, then please mention it in the comment box at the end of the article. We will update the list as soon as possible. Before we proceed we want you to note that this is a third-party app. Third Party apps aren’t that easy as you are thinking. You just need to setup few things on your Android device before using the app. Here we are going to list out some basic requirement that needed to run the Freedom Apk app. Your Android device should be rooted because Freedom app is designed to run on a rooted Android device. Therefore, make sure you have a rooted Android smartphone. If you are looking for a rooting guide, then this article might help you. Make sure to download the latest version of Freedom Apk app. The latest version of Freedom app provides some useful and awesome features. Therefore, make sure to have the latest version. 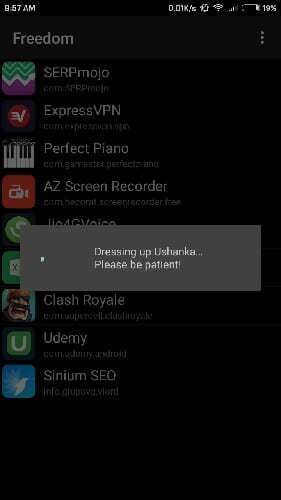 It might show you some error if your device is not properly rooted. However, if your smartphone is rooted then you don’t need to worry about the error. Just use it in a normal way. So, before proceeding to the installation guide, make sure that your phone meets all the recommended requirements. If it fulfills all the needs, then your phone is ready to go with this app and Enjoy free of cost all the paid things of games. So, your favorite section is here. In this section, we are going to share you the latest version of Freedom APK download link. Make sure to download the link from here because we have listed the latest version. How To Install & Use Freedom APK? Step 1. 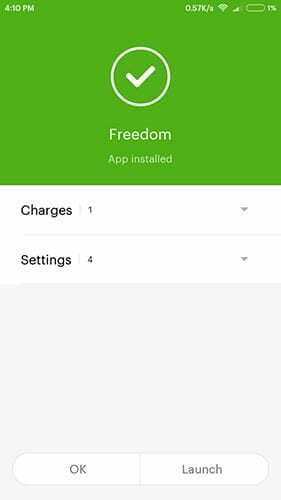 To start, you need to download the Freedom app from the given download box. Download and install the Freedom app on your Android. Step 2. After installing, you will see the screen like below. Step 3. The app will now ask you for root access. You just need to tap on Allow to continue. Step 4. 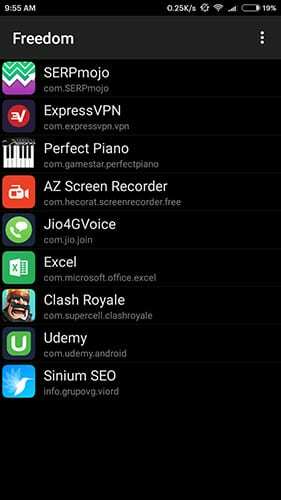 After granting the root access, you will see all the games and app that are installed on your Device. Simply select the app which you want to purchase. Step 5. Now the selected app will open where you can go to the app level, in-app purchasing, coins and just tap on it. That’s it, you are done! This is how you can use Freedom Apk on your Android smartphone. If you are getting an issue while using the app, you can always contact us in the comment section. Well, we understand you might have lots of things running around your mind right now. It’s always a better option to clear every doubt before trying anything new. 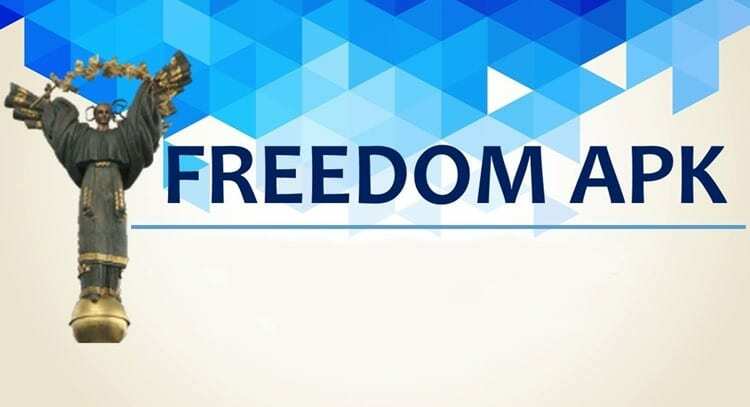 Therefore, we have decided to answer a few questions which are usually asked by users before installing Freedom Apk. Since the app is meant to modify the app and games settings, it requires root access to work. So, yes, you will need a rooted Android smartphone to run Freedom Apk. #2 Does the app works on all Android smartphone and tablet? Yes, the app works on almost every smartphones or tablet running on Android version 2.3 and above. So, if your device is running on Android version 2.0 or above, you can run the app easily. 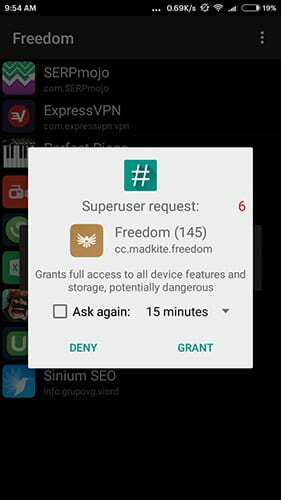 #3 Can I hack every games or app using Freedom Apk. No, Freedom Apk is a capable app, but it’s not capable enough to crack or hack every games or app. Look, some developers unlock the levels or remove restriction after getting money on their bank account. So, Freedom Apk can’t tweak those apps or games. #4 Is Freedom Apk safe to use? Well, if you are asking this question from the security front, then it’s a safe tool to use. However, these type of apps were never considered as ‘Safe’ because you are doing harm to the app and game developers. So, use it at your own risk. #5 The Apk file shared above is safe to use? Yes, the apk file shared in the article is free from viruses or malware. We have checked the file manually and its free from any type of infection. Note: Use the above-listed tutorial by keeping the drawbacks in mind. These type of apps does some serious damage to the app/game developers. Techviral didn’t provide or promote anything that is related to hacking. The above guide shows what’s already available on the web and you need to follow it at your own risk. So, this article covered all things about Freedom Apk in depth. In our opinion, the app actually comes with lots of benefits for experiencing the fullest feature of your premium games or apps. However, it’s worth to note that it isn’t legal to use this type of apps for the sake of amusement. It’s actually not the right thing to give a loss to the developers and owners of the premium apps who made those useful apps to earn some money. So, it’s up to you whether you want to use or not. What’s your opinion on Freedom Apk? Discuss with us in the comment box below.